The University of West Florida is offering its newest massively open online course, Cross-Cultural Competency. Cross-Cultural Competency is structured around the concepts of awareness, acceptance and respect. 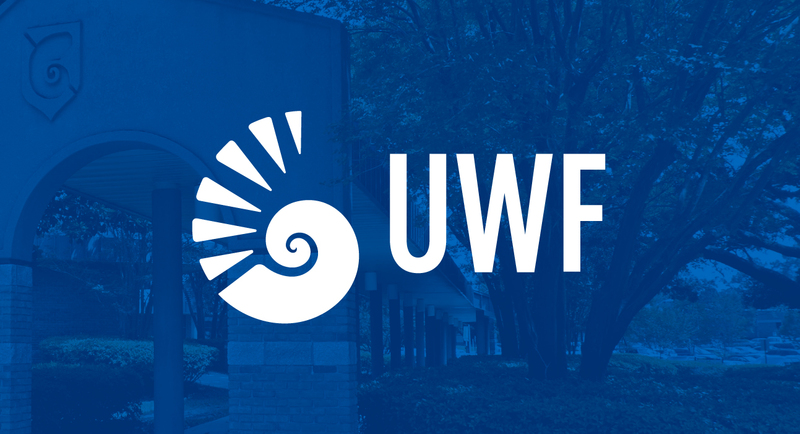 The UWF Innovation Institute partnered with Dr. Kim LeDuff, the University’s chief diversity officer and vice president for academic engagement, to develop the free, not-for-credit course. The nationwide course takes a conversational approach to sometimes sensitive subjects and aims to help those who participate understand and respect one another as well as function in diverse environments encountered in the workplace, the classroom or in social settings. The 12-15 hour course includes five modules taught by UWF faculty and staff members: “Global Village,” taught by Rachel Hendrix, executive director of international affairs; “Religious Diversity,” taught by Dr. Ben Stubbs, director of student involvement; “Gender & Sexuality,” taught by Dr. Greg Tomso, interim director of the Kugelman Honors Program; “disABILITY” taught by Dr. Vannee Cao-Nguyen, associate vice president for academic engagement and the University’s student ombudsperson. LeDuff teaches the introductory module as part of the course. “The foundational course we have is called ‘Awareness, Acceptance, Respect,’” LeDuff said. ”That’s a motto that we’ve had on campus as part of our diversity planning process. 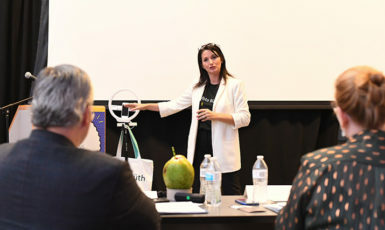 LeDuff said the initial motivation for creating Cross-Cultural Competency was the success of a cross-cultural competency certificate program she and her staff created. 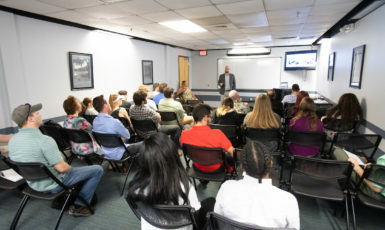 The certificate program was offered through the human resources department to faculty and staff. LeDuff said that developing the new online course sparked interest from the Florida Virtual Campus and other community stakeholders. The modules also have panels called “Perspectives” containing in-depth discussions on each topic. Moderated by award-winning broadcaster Sue Straughn of WEAR-TV, the perspective segments allow community members to share their stories and experiences around the topic in each module. For more information about the course or to register, visit uwf.edu/crosscultural.